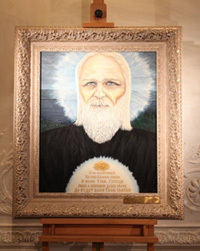 The exhibition of the painting ”Agapit of Pechersk“ by Anastasia Novykh that took place on January 16, 2011 in Kiev produced indelible impression on many people including myself. That supply of cheerfulness that I got after visiting the exhibition still remains. While during the first days after the unusual event I was just enjoying this wonderful state of consciousness, this festival of kindness and eternity; later on, when I got aquatinted with materials of the exhibition that were courteously presented by the Publishing House “Lotus”, professional interest of a journalist surged up within me as I noticed many details of the exhibition that I had missed at first, investigating my deep filings. A truly remarkable event took place on January 16, 2011 in Kiev! 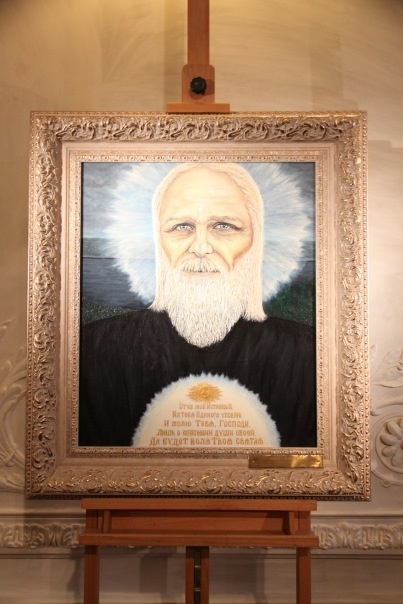 On this day the exhibition of ”Agapit of Pechersk“ painting by Anastasia Novykh was visited by a record number of people – more than 3 thousand. 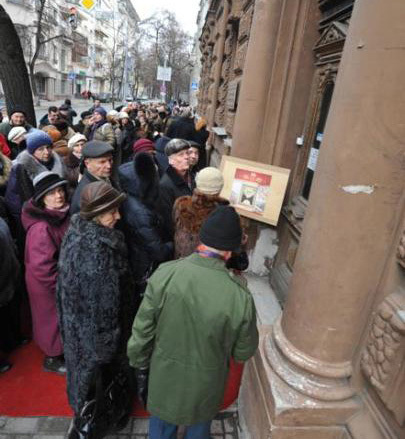 Kiev Russian Art Museum has never witnessed such an influx of visitors. Such attendance is characteristic, perhaps, only for famed museums of the world and is considered the highest among the most frequent museums in Kiev. © 2019 Agapit of Pechersk. For Unity and Friendship!